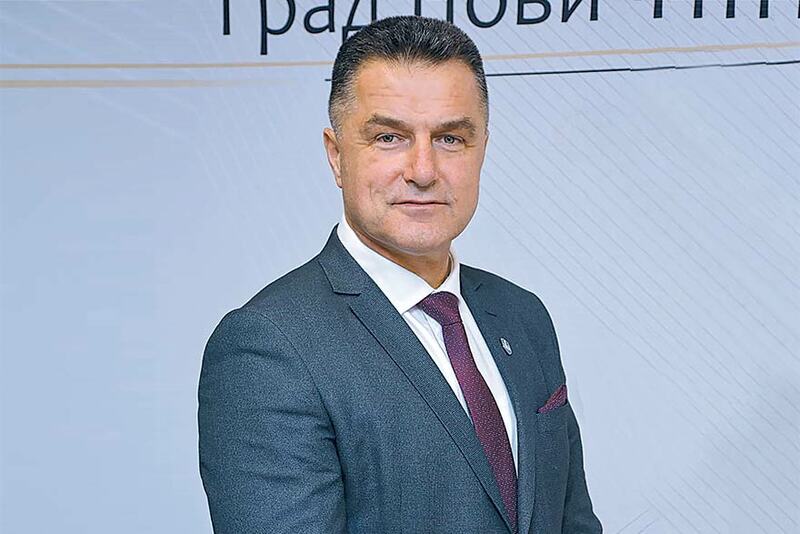 Novi Pazar is indeed one big construction site at this moment, but regardless of the wishes and the use of all available capacities, some things take time, and I expect to see effects of current work in the near future, says mayor Biševac. What infrastructure are you missing, and can you count on the help of the state for the arrival of foreign direct investors? – For the direct arrival of foreign investors Novi Pazar is preparing the conditions. A good geographic location helps us but the infrastructure is bad and considerable investment is needed, despite everything that has been and is being invested. Preparing the civilian airport at Lađevci for use and the highway that will pass through Duga Poljana will greatly facilitate the arrival of foreign direct investors into our city. This will open Novi Pazar even more to the world, facilitate product placement and reduce transport costs for domestic entrepreneurs. The Government of the Republic of Serbia strategically solves the problems, but I do not expect everything to be solved in one year. Preparing an airport for use and building a highway requires time and money, but this is a problem that will be solved in the coming period. In the 1990s Novi Pazar did not feel the crisis like the rest of the country thanks to the textile industry. Are you one of the few local governments that still put emphasis on support for local businessmen? – Of course local entrepreneurs are the biggest production potential we currently have, but with the solution of the infrastructure issue, we expect the arrival of foreign investors that will strengthen the economy of our town. The local government has worked and still works on providing support to the textile industry in cooperation with domestic and foreign donors, ministries, embassies, national, regional institutions and the city of Novi Pazar is the leader in providing support or partnership to these institutions and organisations. So far, in line with the needs of the textile industry, we have worked on solving the problems of waste water, local infrastructure, harmonisation of education programmes in vocational schools with labour market needs, procurement of complete equipment and specialised software for practical teaching in the Secondary Vocational School for textile and clothing design, clustering – joining of capacities of representatives of the textile industry, participation in fairs for monitoring technological trends on the market, promotion and meetings with business partners, additional qualification, retraining and professional education for specific profiles (tailor, seamstress, designer) and so on. Serbian President Aleksandar Vučić and Turkish President Recep Tayyip Erdogan have made a big step forward in improving the cooperation between our two countries. Will this result in the arrival of Turkish investors in Novi Pazar, which is considered the fifth best local government in the volume of investment? – The effects of cooperation can already be seen, the issue of intercity roads is being taken care of, and the Novi Pazar – Tutin road, the marked route of the motorway as the main infrastructure project, will to a great extent solve our problems. Procedures for expanding the capacity of another kindergarten, restoring one of the oldest hammams in the Balkans, and the complete reconstruction of the old sports hall are also being completed.